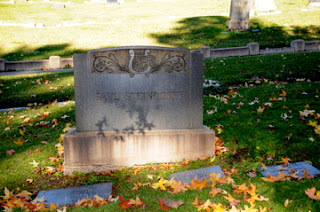 Paul Steindorff was a noted conductor of musicals and opera who found great success in New York City, as well as the San Francisco Bay Area. He conducted marching bands, big bands, Broadway musicals, operas and choral groups. Much of his acclaim in New York was due to his association with the the opera company of noted soprano Lillian Russell and the New York Symphony Society, founded by the legendary Leopold Damrosch. In 1897, he again joined Lillian Russell at the infamous and less illustrious New York City prison The Tombs to perform separately for the women, men and children prisoners. 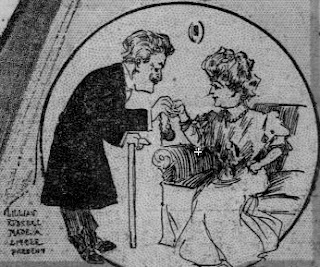 According to the New York Times, “Miss Russell was attired in black, with a few light touches. She had a black silk gown, with a black Persian lamb jacket, lined with ermine, a small bonnet trimmed with primroses and black feathers, and a muff of Persian lamb, with lace and violets.” She sang Frances Alliston’s “A Song of Thanksgiving.” There was no report on the status of her weight. Between 1889-1900 he was the musical director of four shows on Broadway, The Belle of Bohemia, The Singing Girl , The Fortune Teller and The Charlatan. In 1901, he moved to San Francisco and joined the 1700-seat Tivoli Opera House at the behest of his friend Teddy Hartman. 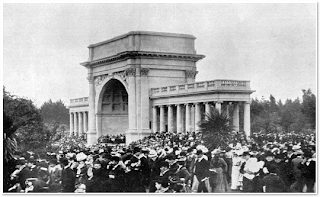 While there he conducted the American premiere of Giordano’s masterpiece “Andrea Chenier” and Leoncavallo’s now forgotten “Zaza.” That same year, he conducted a memorial tribute at the Pavilion in Golden Gate Park in honor of President William McKinley, who had been killed by an assassin. From 1902 until 1906 he served as director of the Golden Gate Park Band in San Francisco. Performances regularly drew 20,000 people. During a May 11, 1902 concert, he conducted a piece called “The Yankee Hustler,” which was written by San Francisco Mayor Eugene Schmitz. 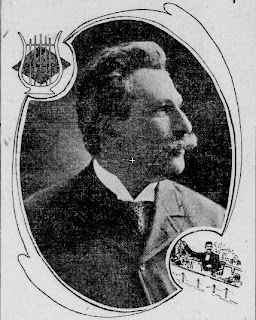 Steindorff told the San Francisco Call newspaper in 1908 that his greatest joy in San Francisco was directing the Band and exposing the masses to wonderful music. In 1903, he led a band of forty at the Mechanics’ Pavillion that played for President Theodore Roosevelt during his visit to San Francisco. After San Francisco was destroyed by fire, Steindorff and one of his colleagues, actor/director Ferris Hartman fled the city, but needed to concoct a scheme to get into Oakland which was being guarded by the military to limit the refugees. The two men secured a hearse complete with a coffin and drove safely into Oakland. After the 1906 San Francisco earthquake, stars from the Tivoli Theater relocated to Oakland and renamed themselves the Idora Park Comic Opera Company. Shows like The Mikado, The Pirates of Penzance and The Wizard of the Nile were performed under the direction of Paul Steindorff in a large wooden opera house called the Wigwam Theater. Idora Park was bounded by Shattuck and Telegraph Ave., and 56thSt. and 58th St..
On November 19, 1908 he conducted the San Francisco farewell concert of internationally renowned opera singer Blanche Arral at the Christian Science Hall. In 1910, he conducted a Christmas concert at Lotta’s Fountain on Market Street in San Francisco with famed soprano Luisa Tetrazzini that drew 90,000 people. In 1912 he organized the Oakland Municipal Band and from 1912-1923, he headed the Department of Music at UC Berkeley. Paul Steindorff was a major celebrity in his day and, sadly, is generally forgotten today. If you’re visiting Mountain View, drive to the end of the main road until you reach the third fountain. Steindorff’s somewhat modest grave is to the left side, just before the fountain. Paul Steindorff was my great grandfather. I never heard the story of the escape from SF by hearse. Very interesting! Beth, do you have more information about your great grandfather that you can share? Hello Michael, I am researching Ferris Hartman and have not been able to find any more about Hartman and Steindorff fleeing SF in a hearse. This is a great story. Do you know the source or where this story originated? Thanks! hey emily my great great grandmother was ernestine kreling.i have an old photo of ferris hartman from a ways back not not much info. I have a great many programs and pictures from the light opera in Oakland. Hey Anonymous, my great grandmother was Erinestine "Krouse" Kreling. I would love to hear what stories and pics you have and I have a great pic of Ernestine with her two sons, my grandfather and great uncle. Ernestine Kreling is buried at a different cemetery, Holy Cross. Do you have any programs/pictures from the 1903 US premiere of "ZAZA" that Steindorff conducted? I'm working on an article about that opera's reception history in the US and would love to see anything you have! I can be contacted via my website. Thank you! I will check. It doesn’t ring a bell though. I will look in the scrapbooks this weekend.